Royalty-free stock illustration of a creepy man with ginger hair and a skull tattoo on his arm, punching his feasts together, looking angry and ready to start a fight. Royalty-free stock illustration of a muscular man with a tribal tattoo on his one arm pointing to a small heart tattoo on his bicep while flexing and looking serious. 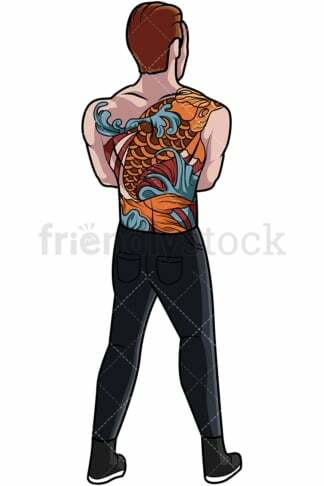 Royalty-free stock illustration of a caucasian man turned around to show off his back that is full of ink. Royalty-free stock illustration of a black man with a tribal sleeve tattoo crossing his arms over chest, wearing sunglasses and looking serious. 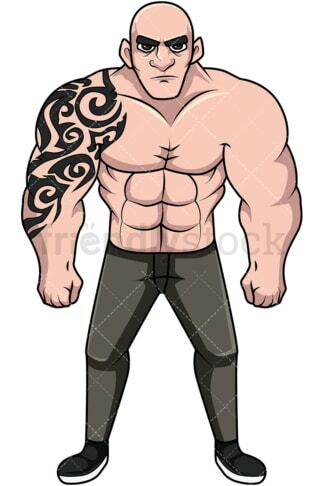 Royalty-free stock illustration of a bulky man with a tribal sleeve tattoo posing with his shirt off while looking serious. 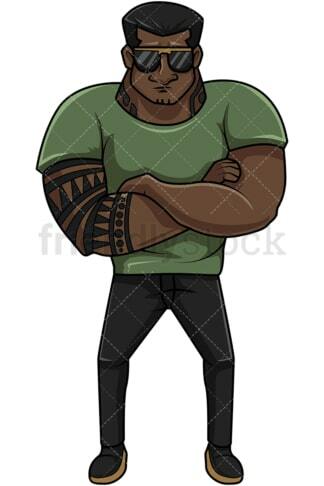 Royalty-free stock illustration of a man with a tribal sleeve tattoo crossing arms over his chest and staring. Royalty-free stock illustration of a man wearing a red bandana on his head and a sleeveless t-shirt to show off his tattoo, smiling gently. 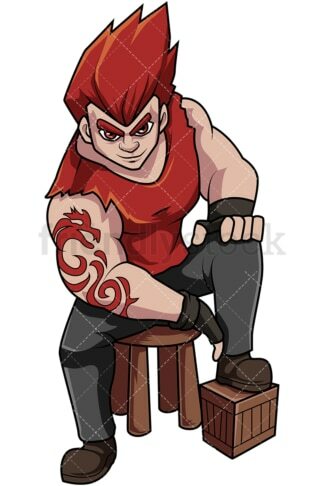 Royalty-free stock illustration of a relaxed man with pointy red hair, sitting on a stool and showing off the red tribal tattoo on his arm. 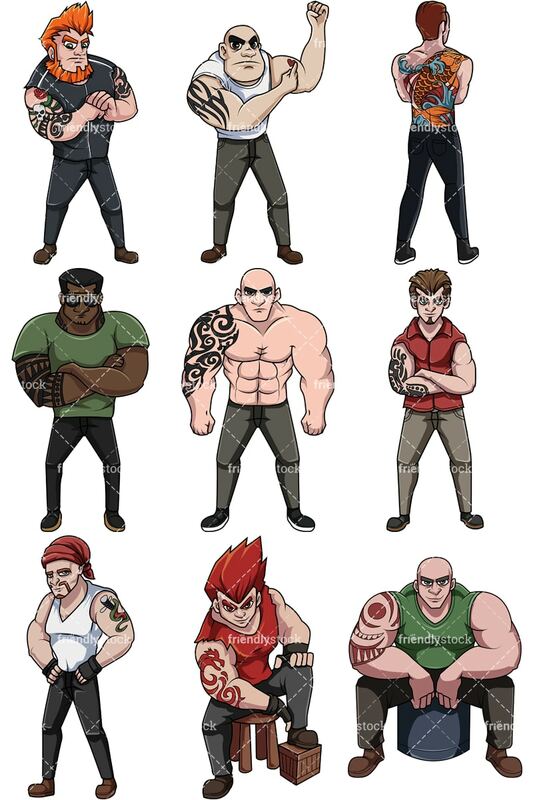 Royalty-free stock illustration of an extremely muscular man wearing a sleeveless t-shirt while seated, having a tribal ink tattoo on his arm.